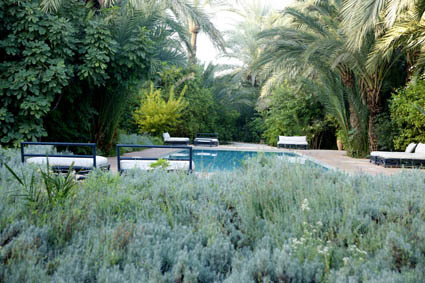 Jnane hotels and villas offer a lifestyle of serenity and well-being in the Palmeraie and countryside around Marrakech. The typical Jnane setting is a collection of individual houses spread out in a garden. 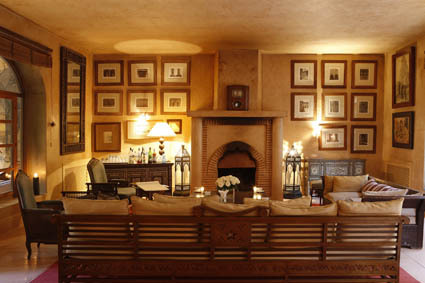 This gives guests an atmosphere of being at home while providing the comfort and service of a hotel. Jnane seems to have always been there; organically grown, gathering memories over the years, expressing a personal style that draws upon diverse influences that converge in Morocco. 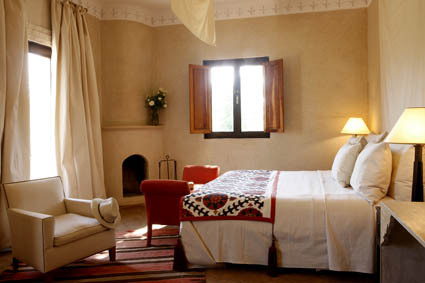 Jnane takes its inspiration from the beautiful architecture, extraordinary hospitality and languid opulence of Marrakech. Central to Jnane thinking is the conviction that true well-being is to be found in a life of integrity and tranquillity. It is about conceiving a place which blends with the soul of the local culture while giving it a fresh perspective. In this sense Jnane is about respect for natural materials, traditions, local communities and the environment. Jnane interiors, as developed by Meryanne Loum-Martin over two decades, fuse Oriental, African and European influences and sensibilities. 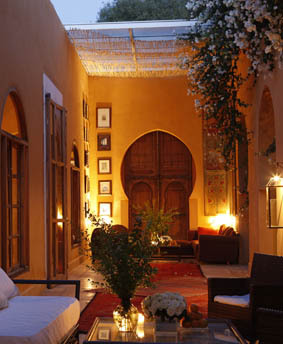 Often referred to as ‘New Moroccan Style’, this involves the use of natural materials, traditional techniques and dark and light textures to create a sense of harmony. Meryanne Loum-Martin first came to Marrakech in December 1985. She found a city of red ramparts whose intense light reminded her of Rajasthan. She returned many times in the following years, joined by her husband Gary Martin. 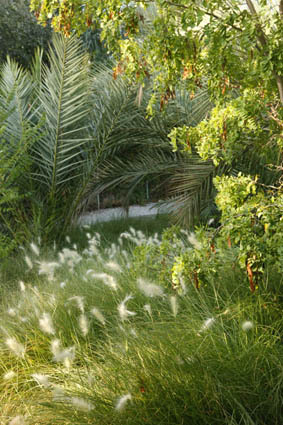 They visited the Palmeraie, where tens of thousands of palm trees gave it the feeling of a desert oasis. They dined under the stars to Arab-Andalous music. They were invited into private homes and discovered why the place had become a legend. 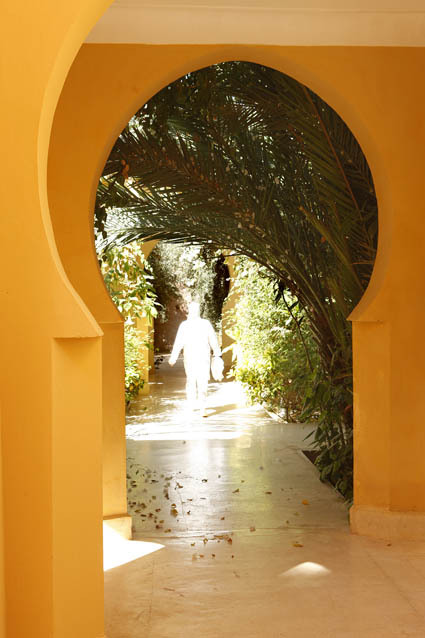 At the time, it was hard for visitors to fully experience the mystery and intensity of Marrakech. Building on Meryanne’s experience in designing luxury villas and Gary’s approach to traditional landscapes they created Jnane Tamsna, which offers elegant architecture, discreet hospitality and a sense of tranquility to discerning travelers. More than 20 years on, their excitement and wonder at Marrakech are undiminished. As is their enthusiasm to share it with others. …the creation of Gary Martin – are lush edible landscapes that draw inspiration from Arab-Andalous horticultural traditions. Organic and water-efficient, they provide an array of fresh products for Jnane’s dinner tables as well as a peaceful environment for relaxation and reflection. The grounds of Jnane Tamsna are a natural paradise of aromatic herb gardens, olive groves, lemon trees, date palms, vegetable gardens and ornamental flower beds. The landscape architecture is inspired by North African agricultural and horticultural traditions. Within the houses, there are ‘ryads’ or interior patio gardens that are reservoirs of fresh air and drifting natural scents. Pools – appearing like basins – are surrounded by ‘bustans’ of aromatic plants and fragrant white flowers. Jnane Tamsna’s organic fruits and vegetables come from the ‘arsat’ orchard gardens that combine a date palm canopy, a grove of fruit trees and alternating patches of forage and food plants. The gardens are completely organic with traditional groundwater flow and more contemporary drip irrigation. The cultivated spaces are accessed by pathways and terraces festooned with gardenia, jasmine and white bougainvillea.